Данная обзорная статья посвящена выявлению новых предикторов развития желудочковых тахиаритмий (ЖТА). Установка имплантируемого кардиовертера-дефибриллятора (ИКД) пациентам с факторами риска является одним из основных способов профилактики внезапной сердечной смерти (ВСС) в результате возникновения ЖТА. В то же время показано, что срабатывания данного устройства на протяжении 5 лет наблюдения регистрируются лишь у 15–25% больных. В связи с тем, что установка ИКД ассоциирована с госпитализацией и инфекционно-воспали- тельными осложнениями, существует необходимость совершенствования стратификации риска и поиска новых прогностических маркеров ВСС и ЖТА, для того чтобы уменьшить количество нерационально имплантированных кардиовертеров-дефибрилляторов и снизить необоснованные затраты на госпитализацию и оперативное вмешательство. В связи с этим актуален поиск новых предикторов развития ЖТА. Перспективным в этом направлении является выявление перфузионных нарушений миокарда по данным сцинтиграфии с таллием-199, нарушения симпатической иннервации миокарда, оцененные сцинтиграфией с метайодбензилгуанидином (МИБГ), меченным йодом-131, а также определение уровня потенциальных биохимических маркеров фиброза миокарда, таких как галектин-3 и ST2. 1. Lopera G., Huikuri H.V., Makikallio T.H. et al. Ishemic sudden death: critical analysis of risk markers // Rev. Esp. Cardiol. — 2010. — Vol. 53(4). — P. 568–574. 2. Zipes D., Camm A.J., Borggrefe M. et al. ACC/AHA/ESC 2006 Guidelines for management of patients with ventricular arrhythmias and the prevention of sudden cardiac death-executive summary // J. Am. Coll. Cardiol. — 2006. — Vol. 48. — P. 1064–1108. 3. Priori S.G., Blomstrom-Lundqvist C., Mazzanti A. et al. Task force on sudden cardiac death of the European Society of Cardiology // Eur. Heart J. — 2001. — Vol. 22. — P. 1374–1450. 4. Бокерия О.Л., Биниашвили М.Б. Внезапная сердечная смерть и ишемическая болезнь сердца // Анн. аритмологии. — 2013. — № 10(2). — С. 69–79. 5. Carsten W.I. Mechanisms of sudden cardiac death // Indian Heart J. — 2014. — Vol. 66. — P. 10–17. 6. Рекомендации ESC по лечению пациентов с желудочковыми нарушениями ритма и профилактике внезапной сердечной смерти // Рос. кардиол. журн. — 2016. — № 7(135). — С. 5–86. 7. Lee M.S., Yang T., Dhoot J. et al. Meta-analysis of clinical studies comparing coronary artery bypass grafting with percutaneous coronary intervention and drug-eluting stents in patients with unprotected left main coronary artery narrowings // Am. J. Car-diol. — 2010. — Vol. 105(8). — P. 1070–1075. 8. Merchant F.M., Jones P., Wehrenberg S. et al. Incidence of defibrillator shocks after elective generator exchange following uneventful first battery life // J. Am. Heart Assoc. — 2014. — Vol. 3. — P. 1–7. 9. Chugh S.S., Reinier K. Determinants of prolonged Q-T interval and their contribution to sudden death risk in coronary artery disease: the Oregon sudden unexpected death study // Circulation. — 2009. — Vol. 119. — P. 663–670. 10. Чернова А.А., Никулина С.Ю., Третьякова С.С. и др. Генетические аспекты этиологии синдрома слабости синусового узла // Анн. аритмологии. — 2013. — № 10(1). — С. 15–22. 11. Scott P.A., Barry J., Roberts P.R. et al. Brain natriuretic peptide for the prediction of sudden cardiac death and ventricular arrhythmias: A meta-analysis // Eur. J. Heart Failure. — 2009. — Vol. 11. — P. 958–966. 12. Induction of ventricular fibrillation rather than ventricular tachycardia predicts tachyarrhythmia recurrences in patients with idiopathic dilated cardiomyopathy and implantable car-dioverter defibrillator for secondary prophylaxis / Rolf S. [et al.] // Europace. — 2009 Mar. — Vol.11(3). — P. 289–296. 14. Громова О.И., Александрова С.А., Макаренко В.Н. и др. Современные предикторы жизнеугрожающих аритмий // Креат. кардиология. — 2012. — № 2. — С. 30–46. 15. Pfeffer M.A., John J.V., McMurray et al. Valsartan, Captopril, or both in myocardial infarction complicated by heart failure, left ventricular dysfunction, or both // N. Engl. J. Med. — 2003. — Vol. 349. — P. 1893–1906. 16. Dorian P., Hohnloser S.H., Thorpe K.E. et al. Mechanisms underlying the lack of effect of implantable cardioverter-defibrillator therapy on mortality in high-risk patients with recent myocardial infarction: insights from the defibrillation in acute myocardial infarction trial (DINAMIT) // Circulation. — 2010. — Vol. 122(25). — P. 2645–2652. 17. Piccini J.P., Zhang M., Pieper K. et al. Predictors of sudden cardiac death change with time after myocardial infarction: results from the VALIANT trial // Eur. Heart J. — 2010. — Vol. 31. — P. 211–221. 18. Голухова Е.З. Внезапная сердечная смерть. Меняют ли результаты рандомизированных исследований наши представления о возможных предикторах и путях профилактики? // Креат. кардиол. — 2008. — № 1. — С. 7–24. 19. Tracy C.M., Epstein A.E., Darbar D. et al. 2012 ACCF/AHA/HRS focused update of the 2008 guidelines for device-based therapy of cardiac rhythm abnormalities: a report of the American College of Cardiology Foundation/American Heart Association task force on practice guidelines // Circulation. — 2012. — Vol. 126. — P. 1–17. 20. Ghuran A., Reid F., La Rovere M.T. et al. Heart rate turbulence-based predictors of fatal and nonfatal cardiac arrest (the autonomic tone and reflexes after myocardial infarction substudy) // Am. J. Cardiol. — 2002. — Vol. 89(2). — P. 184–190. 21. Ikeda T., Yoshino H., Sugi K. et al. Predictive value of microvolt T-wave alternans for sudden cardiac death in patients with preserved cardiac function after acute myocardial infarction: results of a collaborative cohort study // J. Am. Coll. Cardiol. — 2006. — Vol. 48. — P. 2268–2274. 22. Costantini O., Hohnloser S.H., Kirk M.M. et al. The ABCD (Alter-nans Before Cardioverter Defibrillator) Trial: strategies using T-wave alternans to improve efficiency of sudden cardiac death prevention // J. Am. Coll. Cardiol. — 2009. — Vol. 53. — P. 471–479. 23. Patton K.K., Sotoondehnia N., DeFilippi C. et al. N-terminal pro-B-type natriuretic peptide is associated with sudden cardiac death risk: the cardiovascular health study // Heart Rhythm. — 2011. — Vol. 8. — P. 228–233. 24. Kanoupakis E.M., Manios E.G., Kallergis E.M. et al. Serum markers of collagen turnover predict future shocks in implantable cardioverter-defibrillator recipients with dilated cardiomyopathy on optimal treatment // J. Am. Coll. Cardiol. — 2010. — Vol. 55. — P. 2753–2759. 25. Mueller T., Dieplinger B. Soluble ST2 and galectin-3: what we know and don’t know analytically // EJIFCC. — 2016. — Vol. 27(3). — P. 224–237. 26. Dieplinger B., Mueller T. Soluble ST2 in heart failure // Clin. Chim. Acta. — 2015. — Vol. 443. — P. 57–70. 27. Hughes M.F., Appelbaum S., Havulinna A.S. et al. ST2 may not be useful predictor for incident cardiovascular events, heart failure and mortality // Heart. — 2014. — Vol. 100. — P. 1715–1721. 28. Bax J.J., Kraft O., Buxton A.E. et al. 123 I-mIBG scintigraphy to predict inducibility of ventricular arrhythmias on cardiac electrophysiology testing: a prospective multicenter pilot study // Circ. Cardiovasc. Imaging. — 2008. — Vol. 1(2). — P. 131–140. 29. Nakajima K., Scholte A.J., Nakata T. et al. Cardiac sympathetic nervous system imaging with 123I-meta-iodobenzylguanidine: Perspectives from Japan and Europe // J. Nucl. Cardiol. — 2017. — P. 1–9. 30. 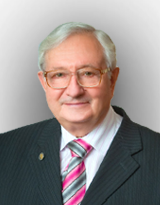 Jacobson A.F., Senior R., Cerqueira M.D. et al. Myocardial iodine-123 meta-iodobenzylguanidine imaging and cardiac events in heart failure. Results of the prospective ADMIRE-HF (AdreView Myocardial Imaging for Risk Evaluation in Heart Failure) study // J. Am. Coll. Cardiol. — 2010. — Vol. 55. — P. 2212–2221. 31. Boogers M.J., Borleffs C.J., Henneman M.M. et al. Cardiac sympathetic denervation assessed with 123-iodine metaiodobenzylguanidine imaging predicts ventricular arrhythmias in implantable cardioverter-defibrillator patients // J. Am. Coll. Cardiol. — 2010. — Vol. 55. — P. 2769–2777. 32. Hachamovitch R., Nutter B., Menon V. et al. Predicting risk versus predicting potential survival benefit using 123I-mIBG imaging in patients with systolic dysfunction eligible for implantable cardiac defibrillator implantation: analysis of data from the prospective ADMIREHF study // Circ. Cardiovasc. Imaging. — 2015. — Vol. 8(12). — P. 1–12. 33. Fujita K., Kasama S., Kurabayashi M. Serial dual single-photon emission computed tomography of thallium-201 and iodine-123 beta-methyliodophenyl pentadecanoic acid scintigraphy can predict functional recovery of patients with coronary artery disease after coronary artery bypass graft surgery // Nucl. Med. Commun. — 2015. — Vol. 36(2). — P. 148–155. 34. Henzlova M.J., Duvall W.L. Tl-201 dosing for CZT SPECT: More new information // J. Nucl. Cardiol. — 2017. — P. 1–3. 35. Kurisu S., Sumimoto Y., Ikenaqa H. et al. Comparison of 8-frame and 16-frame thallium-201 gated myocardial perfusion SPECT for determining left ventricular systolic and diastolic parameters // Heart Vessels. — 2016. — P. 1–6. 36. Mori H., Isobe S., Sakai S. et al. Microvascular obstruction on delayed enhancement cardiac magnetic resonance imaging after acute myocardial infarction, compared with myocardial (201) Tl and (123)I-BMIPP dual SPECT findings // Eur. J. Radiol. — 2015. — Vol. 84(8). — P. 1516–1524. 37. Hussein A.A., Niekoop M., Dilsizian V. et al. Hibernating substrate of ventricular tachycardia: a three-dimensional metabolic and electro-anatomic assessment // J. Interv. Card. Electrophysiol. — 2017 Apr. — Vol. 48(3). — P. 247–254.